It's very easy to start writing something, be it a short story, role playing adventure, or a novel. Finishing that project is an entirely different matter. Interest in projects fade, new inspirations arise to distract us, or authors can become bogged down in re-writes or writers block. Many projects are started, but much fewer are ever finished. 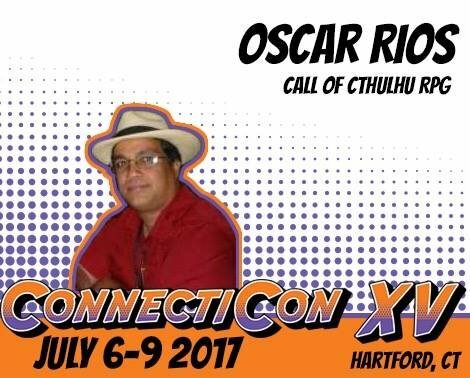 Oscar Rios, President of Golden Goblin Press and the author of more than eighty scenarios for Call of Cthulhu, is known for being a very prolific RPG author. He'll be discussing the fifteen rules for tries to follow for maintaining motivation while writing and taking questions from the audience.